The old adage that “The House Always Wins” can apply to online casinos as well as their brick-and-mortar counterparts. However, there are life hacks for players to take advantage of to keep losses low and winnings high. Check out our guide to see how you can get the most money from playing at an online casino. The majority of games available to play at online casinos are video slots. While some hark back to the days of single payline fruit machines, modern online slots impress with their CGI graphics and immersive soundtrack. But you want to ignore that distracting glitz and glamour and see what makes the game tick. Slots can have a wide array of reels and paylines, from 10 to 243 ways to win. Before you jump into the game, take a look at the pay tables to make sure you understand the rules of the game. Things you want to pay special attention to are which symbols pay the highest, if the lines pay both directions and if there are any bonus features you can try and exploit for more cash. Find out what action triggers the bonus round so that you can keep an eye out for it during the base game. One number you want to find, either at the casino or on a game review site, is the Return to Player (RTP) percentage. 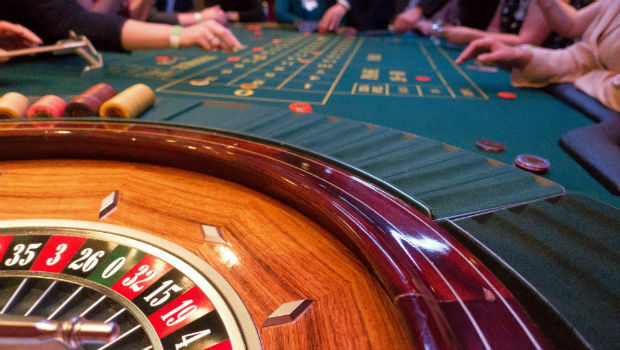 Casino games work using a Random Number Generator (RNG), which is a check to make sure the game developer and casino are playing fair. The RTP will tell you on average how often the game pays out, so you want to be looking for games that have a high RTP, but also a high jackpot or bonus round. It can be very easy to keep topping up your casino wallet to carry on playing, but building a strategy to help manage your money will ensure you are not slipping down that slope. Before you start playing, decide how much you want to spend, and stick to it. Most casinos offer you the function of setting daily limits, so if you don’t trust your own self-control, then put that block in place as well. If you are new to online gambling, ease yourself into it by making small bets and seeing how much you win. Be prepared to come away with a loss, but it should be a small, manageable one. Hopefully you will build up enough wins and confidence to increase your betting allowance, but remember to be patient and persevere. In order to win over new customers, online casinos offer a wide array of casino bonuses, from welcome deposits to free spins or games. Before you start betting, check out the casino’s promotions page and see if it has any time-specific bonuses that you can take advantage of. For example, there may be a day where you can earn cash back or free spins the more you play. Set an alarm to remind you of them and when they begin. Progressive jackpot slots take a small slice of every deposit made on a series of linked machines and pours them into a shared pot, which one person will eventually win. Progressives can be played as a normal slot, but with the added bonus that you may be in line for a payout. Depending on the type of progressive, the win may be triggered at random or by reaching a bonus round. Most usually come with three or four different jackpots of varying amounts, from mini jackpots that pay out a few hundred, to mega jackpots that will earn you a few million. The best thing about online progressive jackpots is that it is very easy to find out when each of these jackpots last paid out and when it normally peaks. While you often have to bet the maximum to be in with a shout of winning the jackpot, if you only bet when its ready to pop, you are increasing your odds of hitting a jackpot win. It can be very easy to sit for hours at a time playing online casino games, but after a short period of time you will soon begin to lose focus. Make sure that you take regular breaks, setting a regular alarm so you don't forget. Get some fresh air, grab something to eat or drink and then return to your game energised and ready to win.